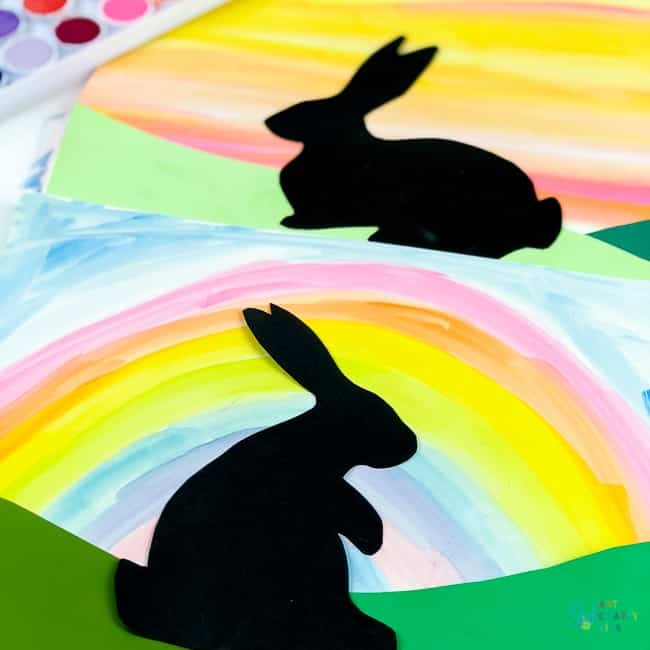 This Bunny Silhouette Art project is perfect for Spring or Easter themed crafting. This time year, bunnies are everywhere. Our fields are filled with the presence of scurrying bunnies and shelves are stacked high with Easter merchandise. Of course, today’s craft is inspired by the former and is an adorable activity for young children. 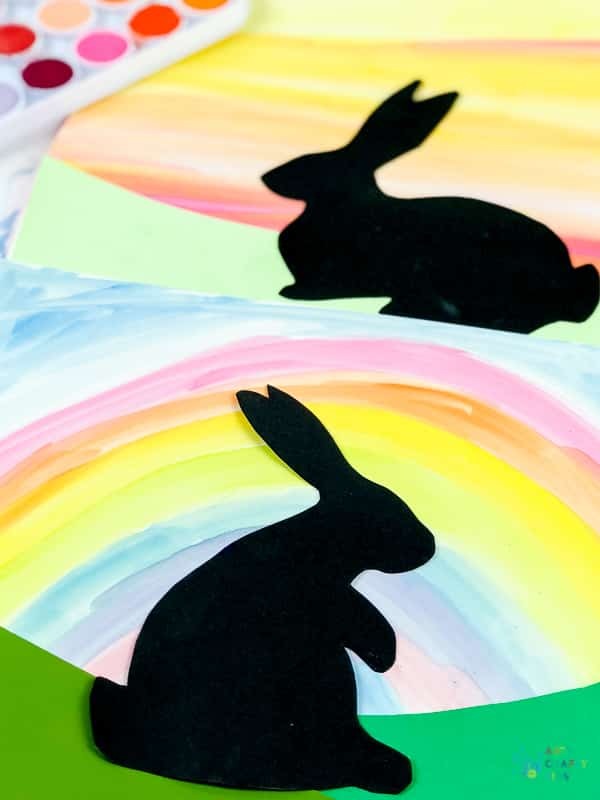 Supplied with a handy template, featuring two large bunnies; kids will have an opportunity to practice their cutting skills, as well as their pencil grip when tracing around the template. It’s an activity that many children will be able to complete independtly or with just a little help, making it perfect for at home or within a group/class environment. Step 1: Download the template and gather your materials. 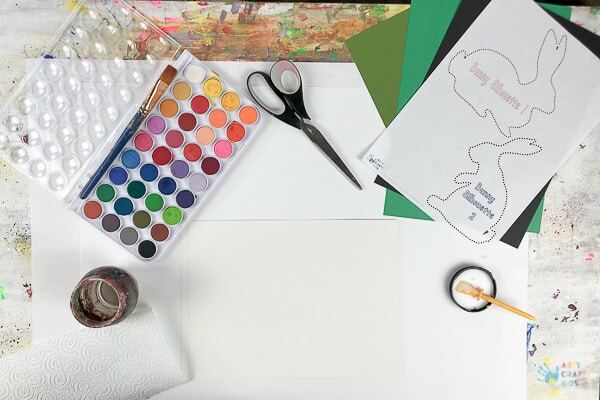 Step 2: Create the backdrop using watercolour paints. 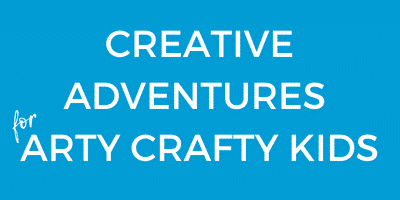 The backdrop can be whatever your Arty Crafty Kids choose it to be. Encourage them to play with the paints and colours, to see how the blend and form. 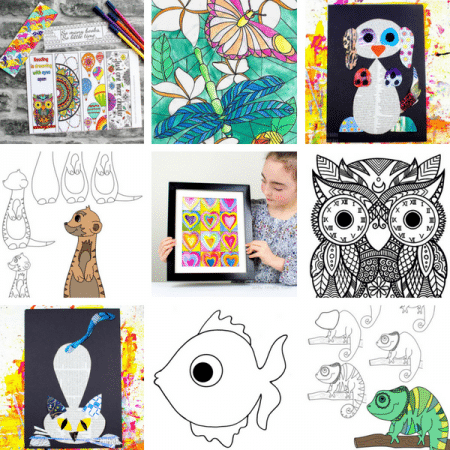 Show them a sunset or sunrise, and perhaps set the challenge of creating their own – what colours do they need? Step 3: Cut out a bunny from the template provided and trace it onto a black piece of card. Step 4: Cut out the traced bunny. Step 5: Using a piece of A4 green card or paper, create a grassy ridge and stick it along the bottom of the page. Step 6: Position the bunny silhouette onto the grass and secure with PVA glue. Sign up for our regular email to be diverted to the template! I hope your children enjoy creating their own Bunny Silhouettes.